Usually cold starting one time is equal to a 200-300 km drive in engine wear, and increases 20% fuel consumption. The Simate engine preheater is a simple plug-in heating device. It can effectively prevent the engine cold starting in the winter. Different from the common non-pump heaters (tank-type heaters), the Simate engine preheater is a pump-type preheater, it has an internal circulation pump. 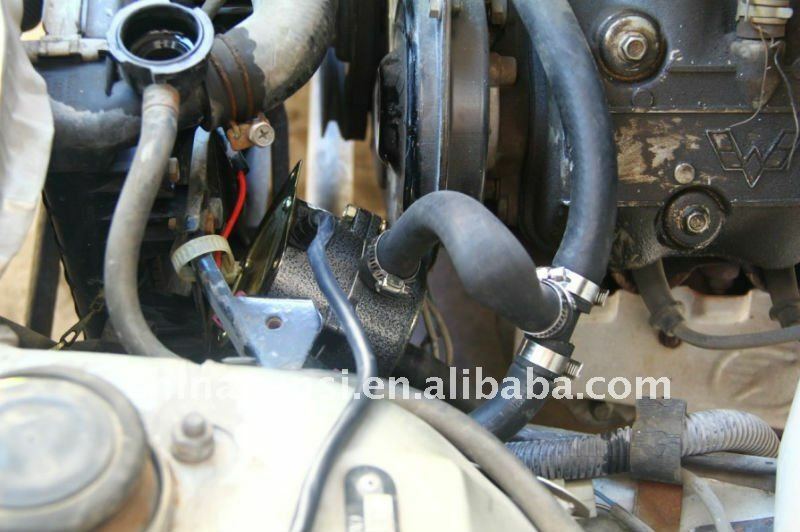 Therefore the preheater can be connected into the car heater hose simply. And it can force the coolant to circulate through the preheater and the engine, the preaheater heats the coolant continuously, and the circulating coolant warms up the engine. Thus the Simate preheater has more powerful heat output, and it can warm up the whole engine more quickly, the engine can reach a higher temperature also. Starting an well-warmed engine subjects to less wear and consumes less fuel, thus producing fewer harmful exhausts. Our company through ISO9001: 2008 international quality management system certification. Our products have passed "CE" certification. With 20 years OEM&ODM experience, we can provide professional solutions for customer. You will learn about the latest developments and product information and promotional activities of our company. Q: What are the results of starting the engine in low temperature? A: In low temperature, due to the effect of thermal contraction, the engine parts become brittle, and the engine oil viscosity increases, which make it very difficult to start the engine. And to start engine in low temperature is apt to damage the engine parts, and also largely increases the contaminant in vehicle exhaust. Q: What effect can be reached by using engine heater? A: Engine heater can raise the engine temperature and reduce the engine oil viscosity by heating the antifreezing solution in the engine water jacket. This makes it easy to start the engine, which not only prolong the working life of the engine, but also reduce the vehicle exhaust pollutant. Q: What is cold start? What’s the degree of cold start temperature? How cold start damages the engine? A: Cold start refers to igniting to start the engine without preheating when the temperature is lower than 10 degrees Celsius. Cold start may damage the engine parts and increase the contaminants in vehicle exhaust. Q: Compared with DEFA engine heater, what are the advantages of SIMATE engine heater? A: SIMATE engine preheater has small and exquisite external form, which is very easy to install. 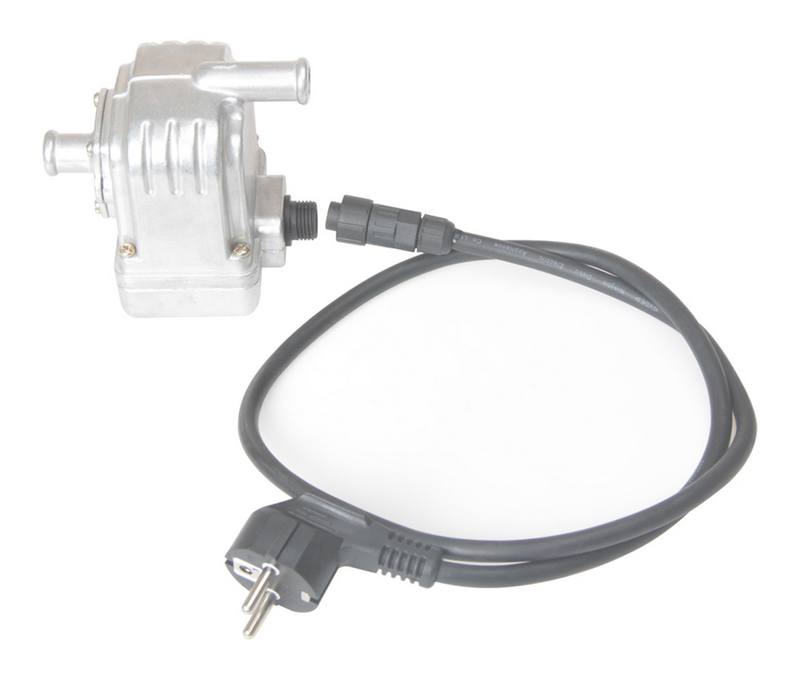 It has internal-installed circulating pump, which can contribute to the circulation of the anti-freezing solution, thus shorten the heating time of the engine heater. Q: Compared with Webasto engine heater, what are the advantages of SIMATE engine heater? 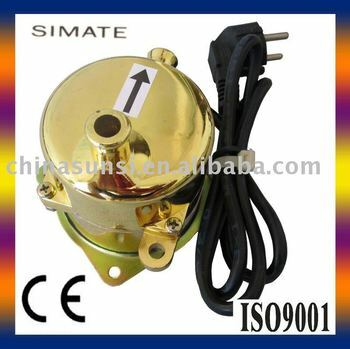 A: SIMATE engine heater applies power source heating, which is environmental friendly and economically. And also it is cheap. Q: Is professional worker needed to install the SIMATE engine heater? A: There is no need. It is very easy to install SIMATE engine heater. 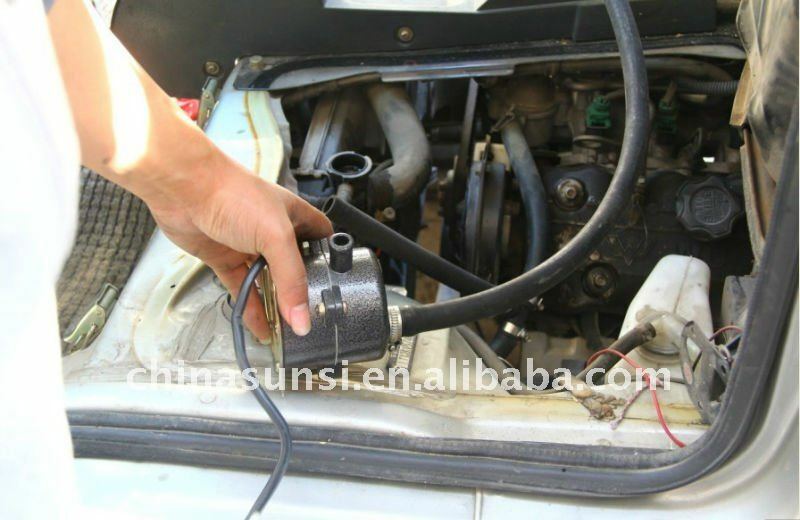 You just need to cut off the water supply hose of the warm air blower, and joint it with the engine heater. Then it works. Q: Is there any special notice for installing the SIMATE engine heater? A: It is required to be installed 10-20cm below the water inlet of water tank.. The water outlet should be upwards. It must be far away from the oil pipe line. There must be no air existed in the engine heater? Q: Can electric car use SIMATE engine heater?